Lately I have been dealing with excruciating pain throughout my left side. In visiting with my PCP (primary care physician), she suggested that I see a few more specialist including a cardiologist for my heart palpitations. The pain in my rib area is not new. I have had it for years but the doctors never addressed it. The statement was and I quote, “must be muscular.” NO!!! Now that the pain has exacerbated throughout my left side down to my toes, testing and specialist are needed. Well today I have been told that I need knee surgery. Still have to see Spine specialist who will be ruling out or confirming musculoskeletal Sarcoidosis. My blood pressure has been elevated even though I am taking two meds for this. The heart palpitations are keeping me up so I am happy to find out the cause. My PCP believes that the elevation is due to meds and my extreme pain. I just don’t want anything overlooked due to assumptions. Another thing that I want to please state to those that are still following my updates, I truly appreciate all of those who have donated to my cause, but please do not separate yourselves from me believing this is all I represent. I have heard, “I don’t call or write because I can’t donate.” Sad, huh? Well it hurts me to the core. 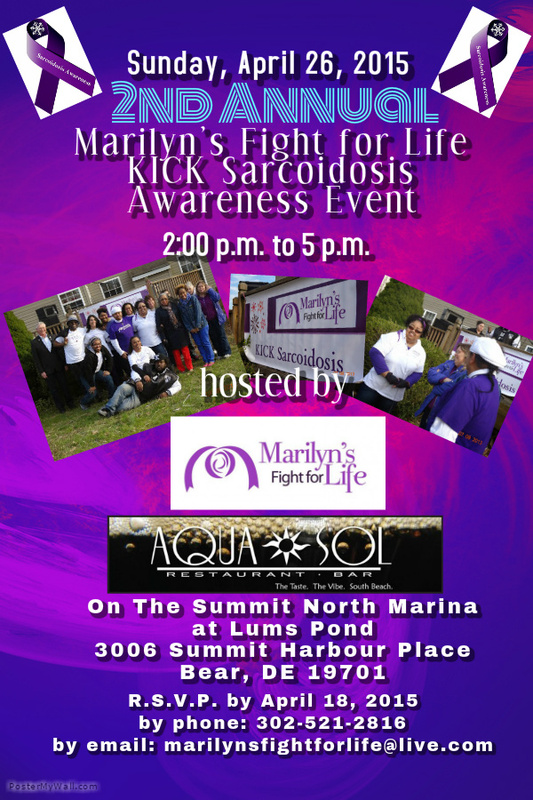 I do this to bring awareness about Sarcoidosis. I do this to give you a glimpse into my daily journey. A journey that we Warriors deal with on a daily basis. Some worse off than me. I do this to give a voice to those who can’t. So please don’t hesitate to reach out to not just myself, but others who are in situations like me. The worse thing that we Warriors face outside of our pain is loneliness. Family and friends tend to extract themselves out of our life because they don’t want to deal with our struggle. Imagine how you would feel if the shoe was on the other foot per se. Not a good feeling. Prayers are good but just letting us know that you care can make our journey a little easier. 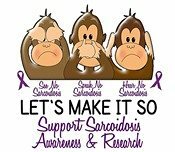 If you would like to make a donation towards the research for a cure, please go to: http://stopsarcoidosis.org which is the Foundation for Sarcoidosis Research (FSR). Again, I love you all and will continue to pray for you as I hope you pray for me.
. Our family’s United front against Sarcoidosis. We’re fighting for a cure! OMG, I have been on the phone all morning and part of the early afternoon reordering meds and trying hard to still receive one of therapeutic inhalers. My patient care advocate and my PCP have been battling with the pharmacist going back and forth with preauthorization’s for 3 1/2 weeks with no end in site. Not having this inhaler is wearing on me especially since I rely on 24 hr. oxygen support just to breath. My lungs are really working extra hard. Causing me to experience chest pains. Pray for me. T-shirts are available for sale. All proceeds are used to help pay foU IIr my medical expenses. 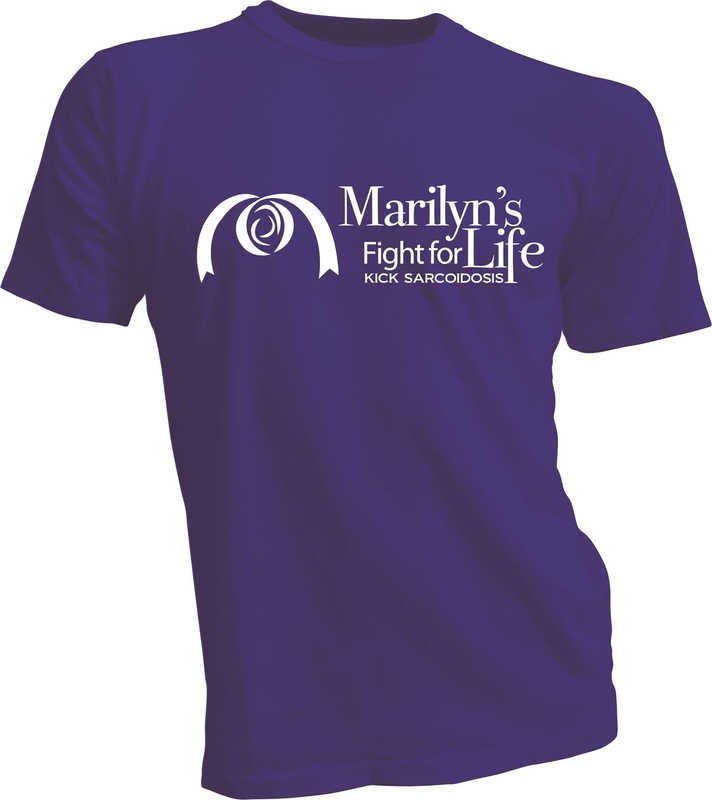 Please email your request to marilynsfightforlife@live.com.